Shaped windows can be a beautiful feature to a room, offering a touch of individuality to your house. 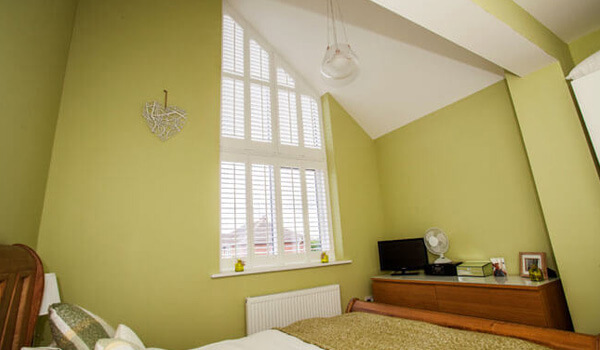 Blinds and curtains are often not suitable for shaped windows, so having custom shutters made will have both practical value and bring attention to the window feature of the room. 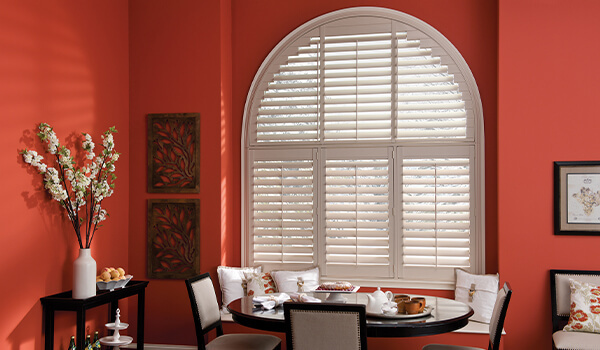 By using shutters, you can create a stunning sunburst fan effect in your room with the sunlight that seeps in – adding to the aesthetic of your room. Serving customers across Warwick and Warwickshire area, we can provide the highest quality shaped shutters in the area. 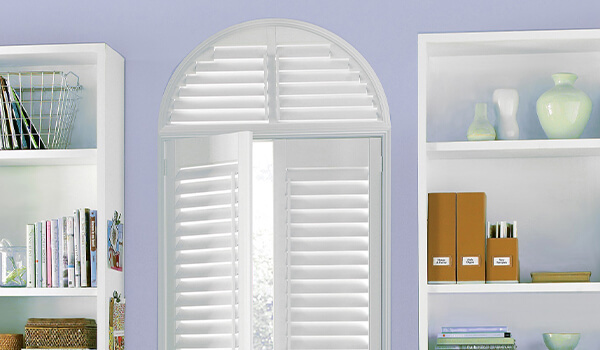 For more information on shaped shutters, contact one of our friendly team members today for a free fitting!